London, UK – 27 February 2017 – American Greetings Entertainment (AGE), the intellectual property and outbound division of American Greetings, has enlisted DHX Media’s WildBrain to manage the Madballs™ YouTube channel, creating original content and growing the audience for the brand. 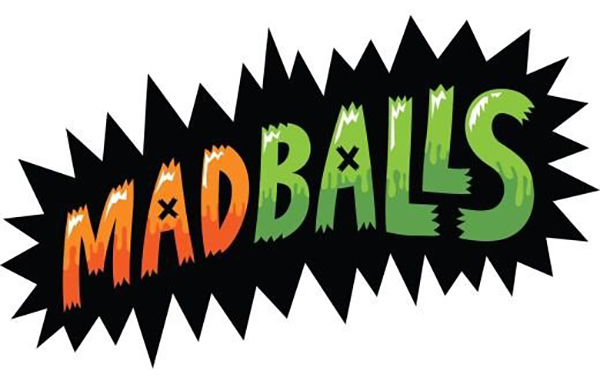 Madballs, the original gross-out brand from the 80s, is back with a brand-new look for entertainment and toys, with collectable foam balls and blind bags on shelves now from Just Play. WildBrain will launch the Madballs channel on March 1, 2017 with all-new animated shorts produced by Oddbot Studios, American Greetings and Just Play. Starring six core characters of Skull Face, Oculus, Screamin’ Meemie, Dust Brain, Horn Head and Slobulus, additional new content produced by WildBrain will also employ live action, stop motion and traditional animation. The YouTube channel and content coincide with a launch of new toys at all mass retailers via master toy partner Just Play. More than 30 new-to-the-world Madballs characters in various styles will be introduced throughout 2017 with the plan that these also become characters within future animated content. Visit @Madballs on YouTube March 1, 2017 for the debut of gross gags, how-tos and sneak peeks of the upcoming additions to the line of Madballs toys, available now at Target, Walmart, Kmart and ToysRUs. Originally introduced in 1986 by AmToy, a subsidiary of American Greetings, Madballs was an instant hit and quickly expanded into other product categories including comics, home video and video games. Today, more than 90 characters exist for Madballs with names like Bash Brain, Slobulus and Zit Wit—and even more characters being introduced in 2017. American Greetings Entertainment is the intellectual property and outbound licensing division of American Greetings, which was built upon the successful re-launch of Care Bears™ and other iconic kids’ entertainment brands, including Holly Hobbie™ and Madballs™, as well as new properties Packages from Planet X™, Twisted Whiskers™ and Buddy Thunderstruck™. AG develops multi-platform entertainment franchises across all media channels, and extensive consumer merchandising programs that immerse children and adults in brands they love. For more information on AGE, visit www.americangreetingsentertainment.com. WildBrain (www.wildbrain.com) is an industry leader in the management and creation of preschool and children’s entertainment content on platforms such as YouTube, Dailymotion and others. WildBrain’s branded YouTube network is one of the largest of its kind, featuring more than 20,000 videos across more than 350 kids’ entertainment channels, and generating approximately 30 billion minutes of watch time annually. Connecting kids’ content owners with advertisers in the Advertising Video-on-Demand (AVOD) space, the WildBrain network features popular third-party brands such as Strawberry Shortcake, Bob the Builder, Fireman Sam and Lazy Town, as well as much of DHX Media’s world-renowned library of more than 11,800 half-hours of kids’ and family content, including classic Teletubbies, Caillou, Inspector Gadget, Degrassi, Yo Gabba Gabba! and many others. WildBrain also specializes in the creation of new original content for its network, such as animated and live-action shorts; toy-play and unboxing videos; book readings; preschool counting and alphabet videos; nursery rhymes and more. WildBrain is a wholly owned subsidiary of DHX Media (TSX: DHX.A, DHX.B; NASDAQ: DHXM).